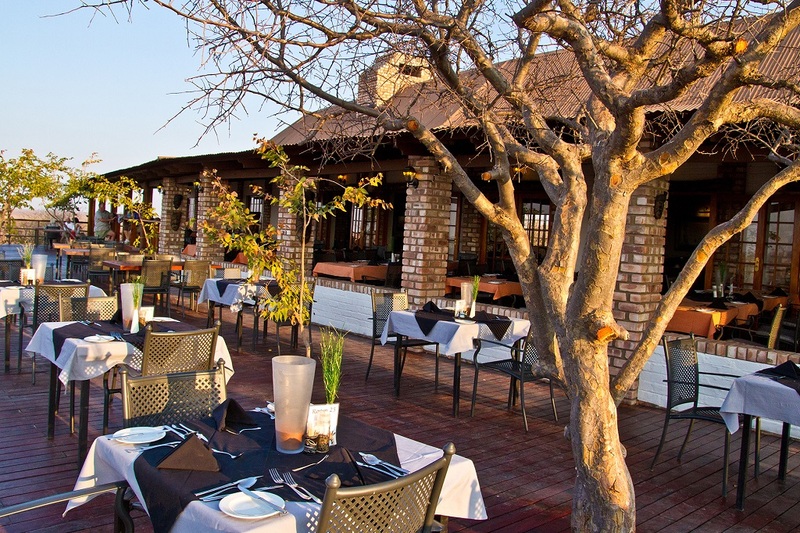 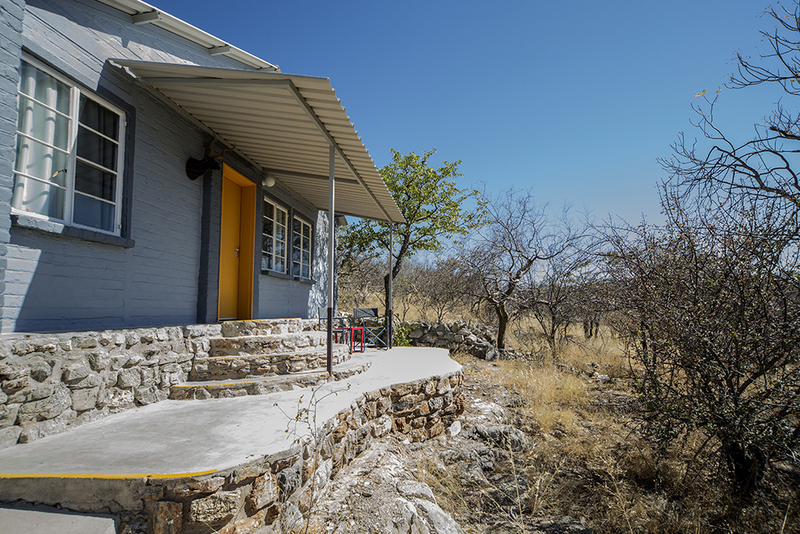 Expand your horizons and step into the wilderness at Etosha Safari Lodge. 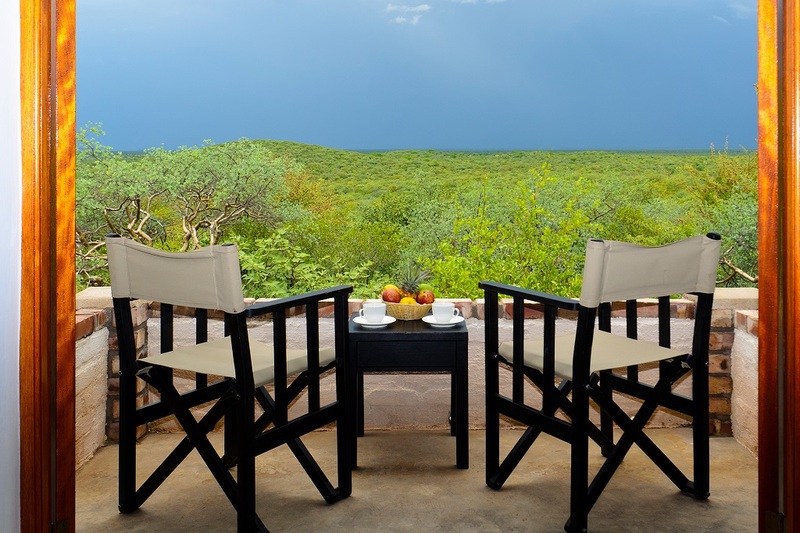 Escape the bustling city and feel at home in the tranquillity of nature. 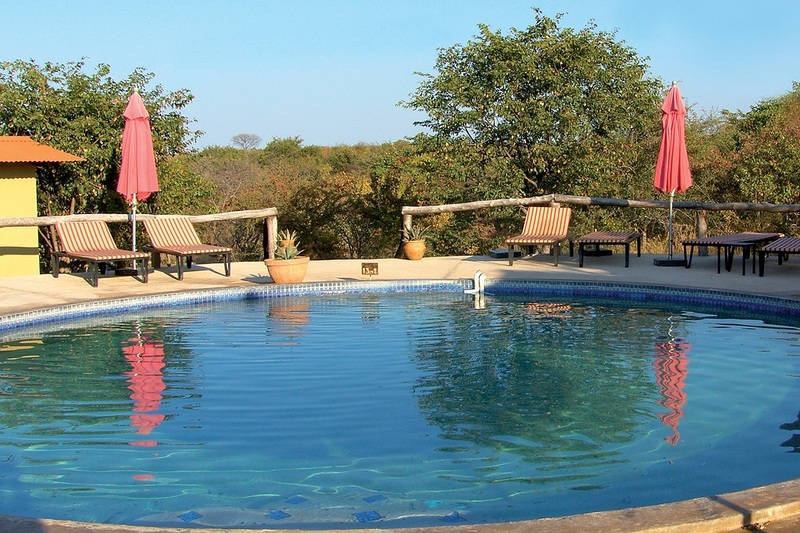 You can enjoy the lavishing views of the Mopane woodland, spacious rooms with air-cooling systems, private verandas and much more. 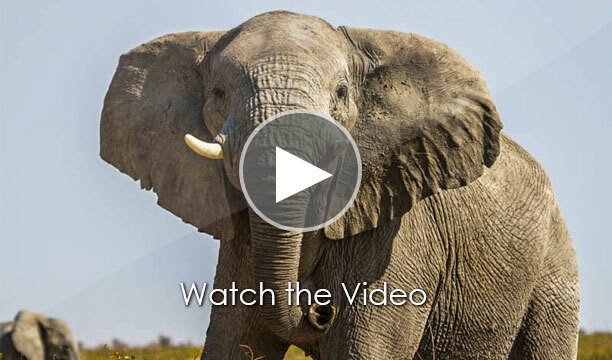 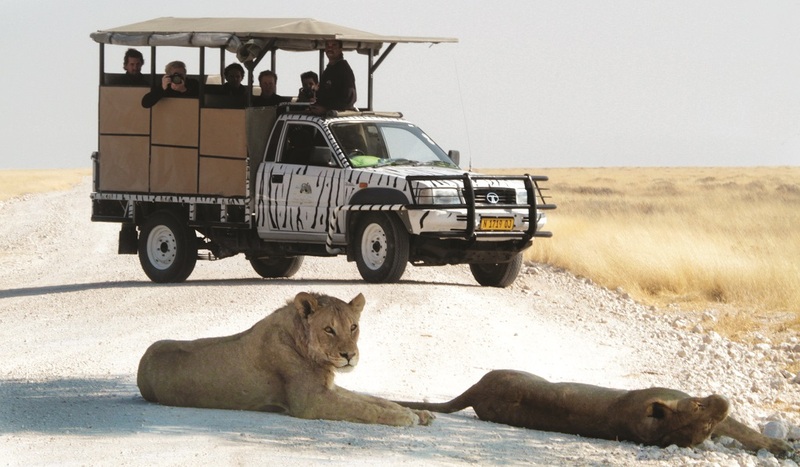 Explore the Etosha National Park – situated a mere ten kilometres from the lodge – with expert guides who will share their knowledge of the park and its amazing wildlife with you. 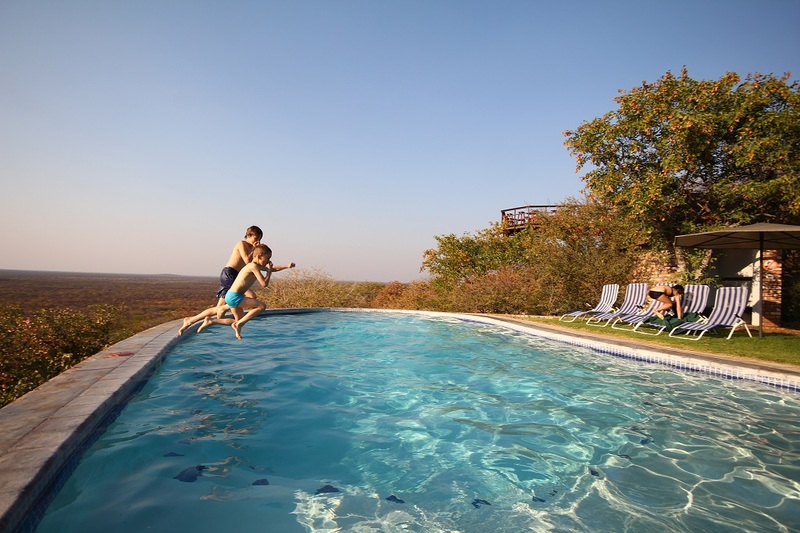 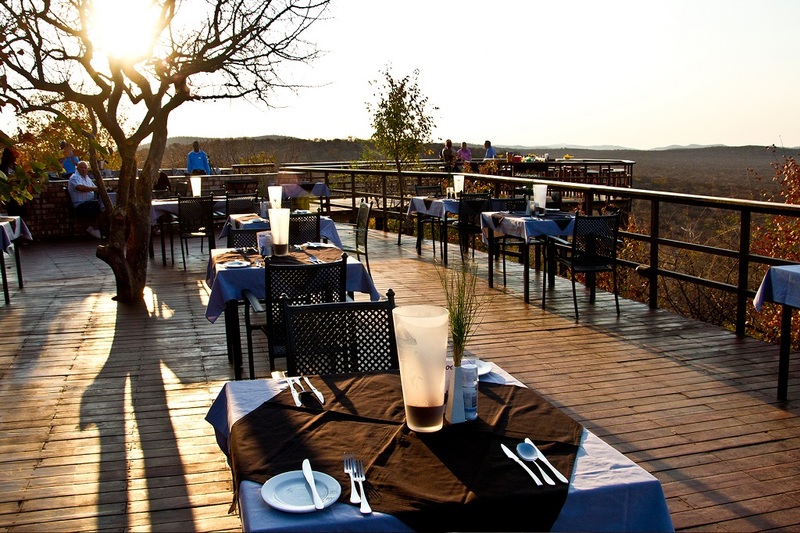 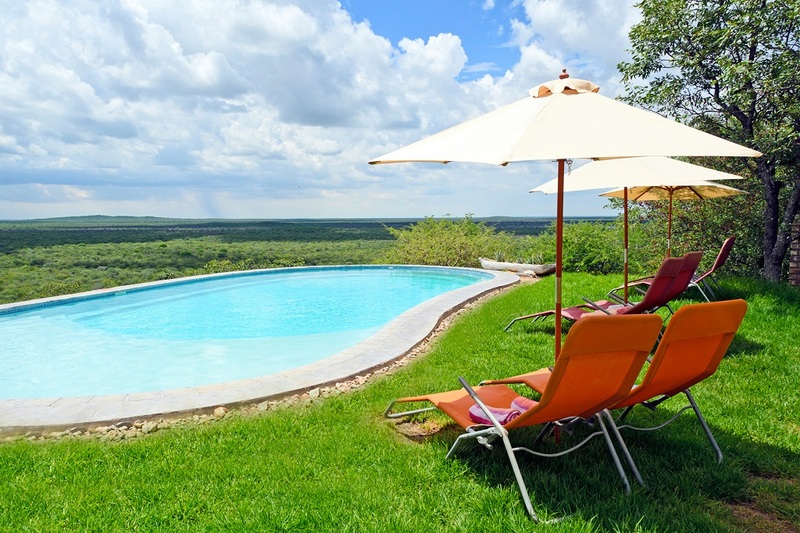 After exploring the park, you can return to the lodge and unwind by taking a dip in the swimming pool or try one of the delectable dishes and wines at the restaurant. 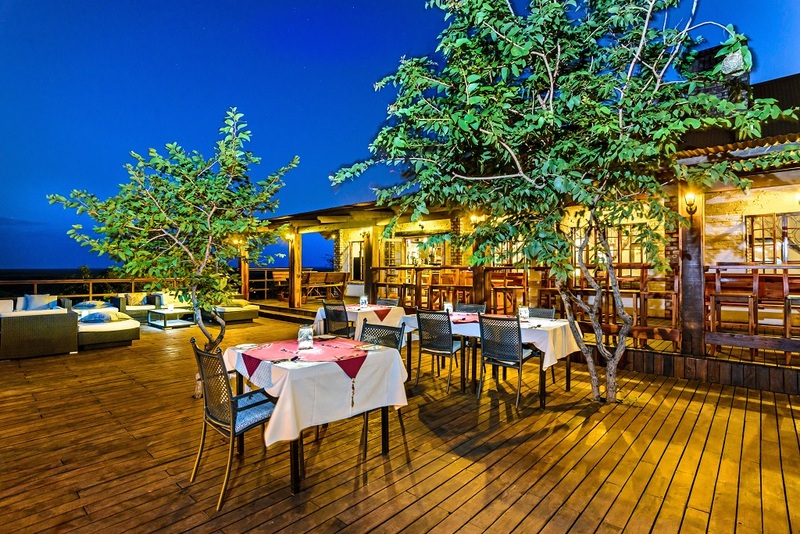 Dine under a sky full of stars on the outside veranda while listening to the crackling camp fire or soak in the last ray of the majestic African sunset on the deck. 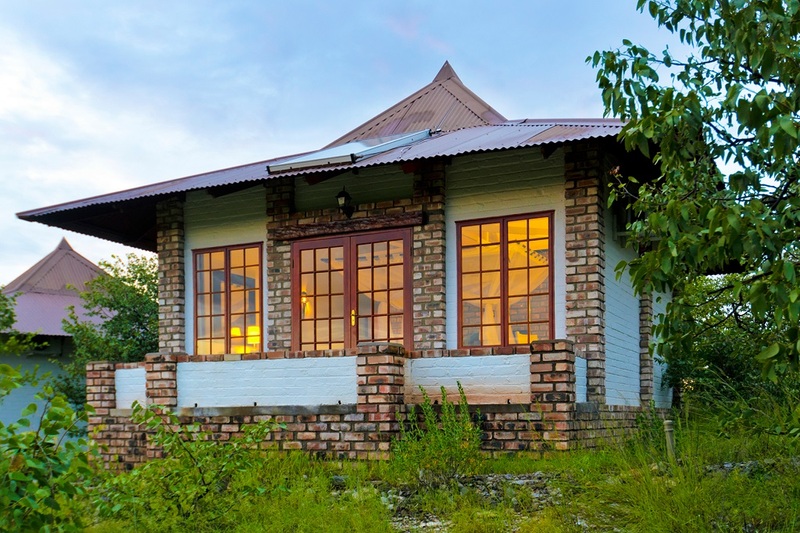 A total of 65 bungalows are provided to ensuring the ultimate safari experience! 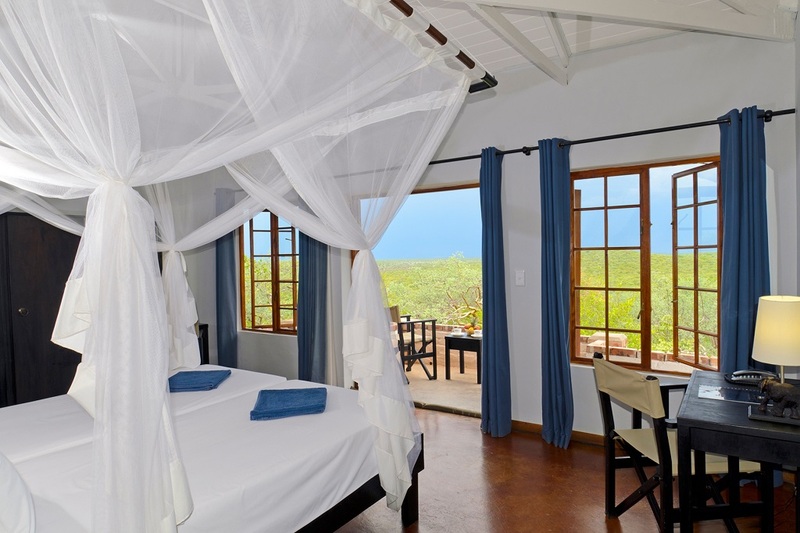 The Standard Twin Rooms are located on a hillock overlooking magnificent views. 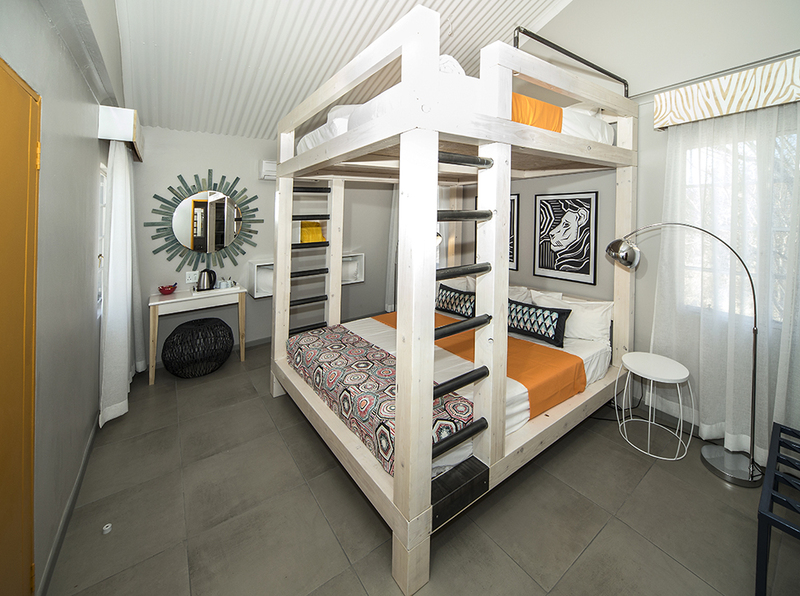 Rooms are open-plan with two beds and en-suite bathrooms. 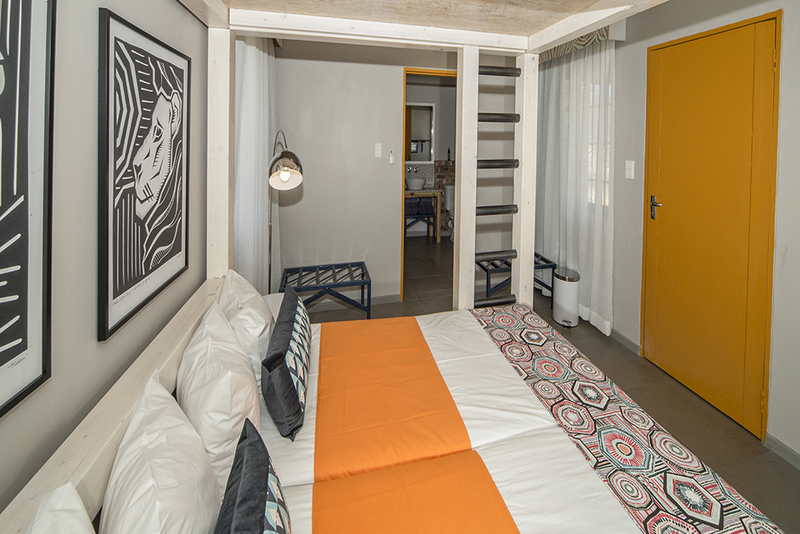 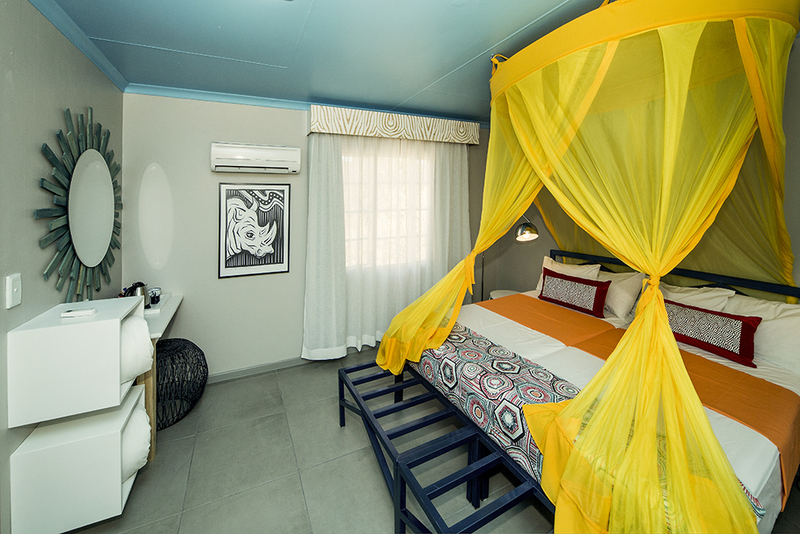 The Standard Family Rooms are also open-plan and offer four beds and en suite bathrooms. 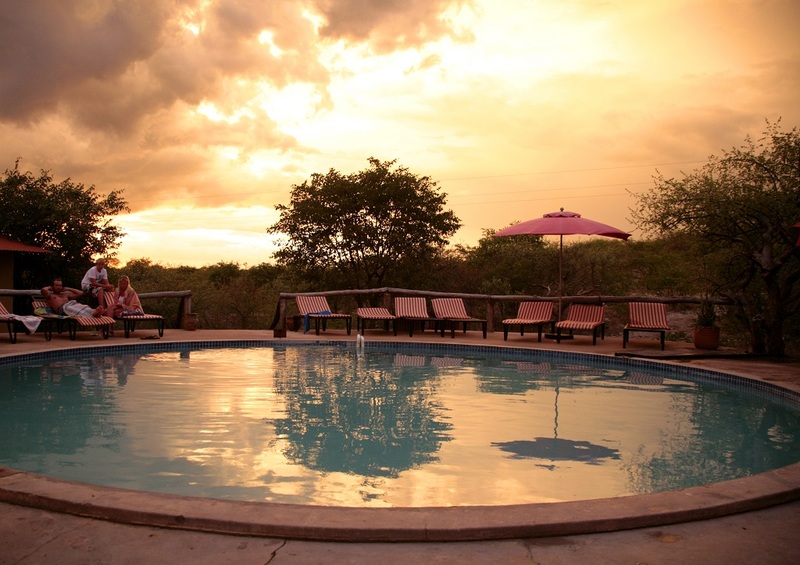 Nestled between the lush mopane trees, Etosha Safari Camp is a charming site with an abundance of character – making it the perfect place to relax and unwind. 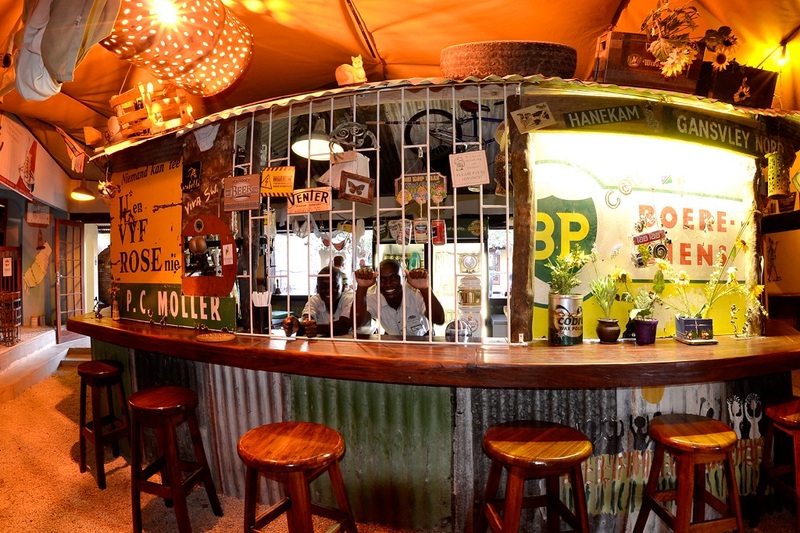 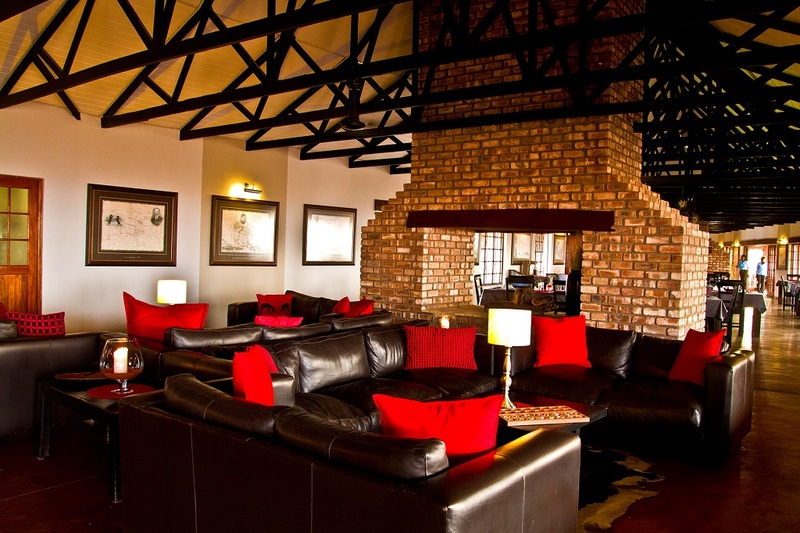 This friendly safari camp offers guests the choice of dining in the captivating ‘cultural’ seating area with a crackling fireplace, or in the outside courtyard where you’ll be entertained with live music. 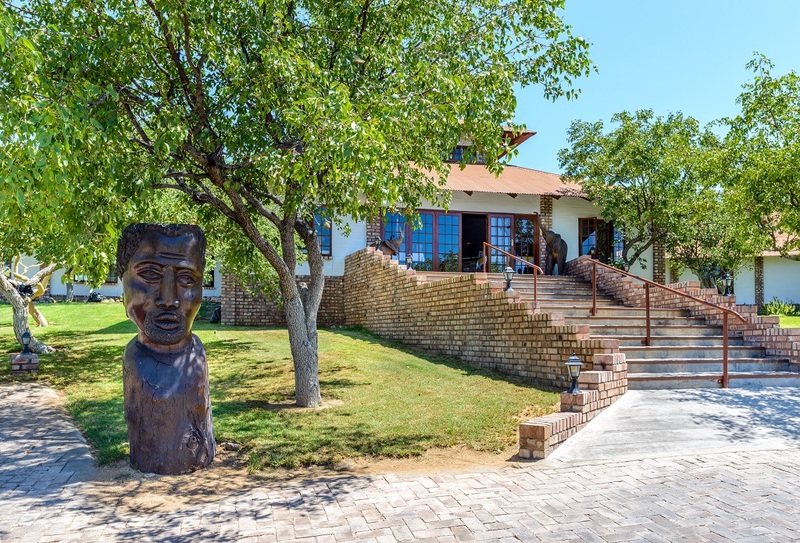 A short distance grants easy access to Etosha’s Andersson Gate, from where you can experience the beauty and magnificence of the animal kingdom – from black-faced impala to the lion kings and the giants of Africa. 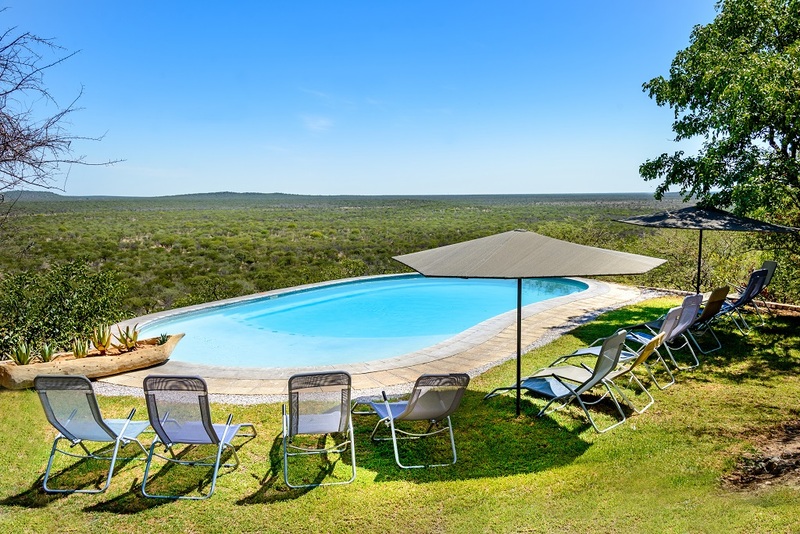 Whether you want to explore this wonderland all by yourself, or with the professional guides, or a bit of both, your can come back to relaxation and comfort at Etosha Safari Camp. 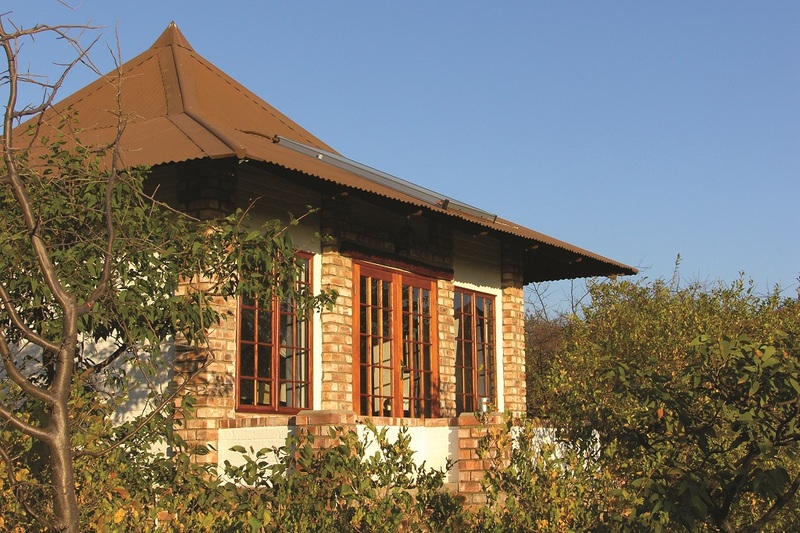 A variety of accommodation is available with a total of 50 chalets to ensure your comfort and a memorable safari experience. 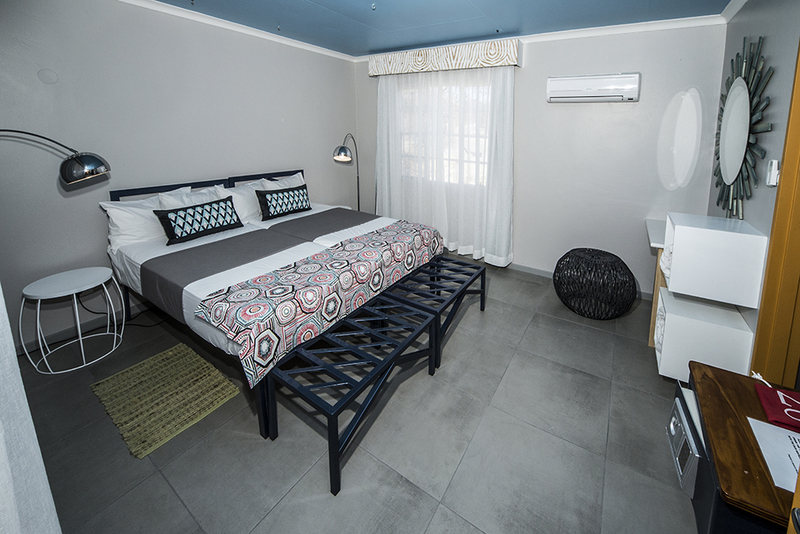 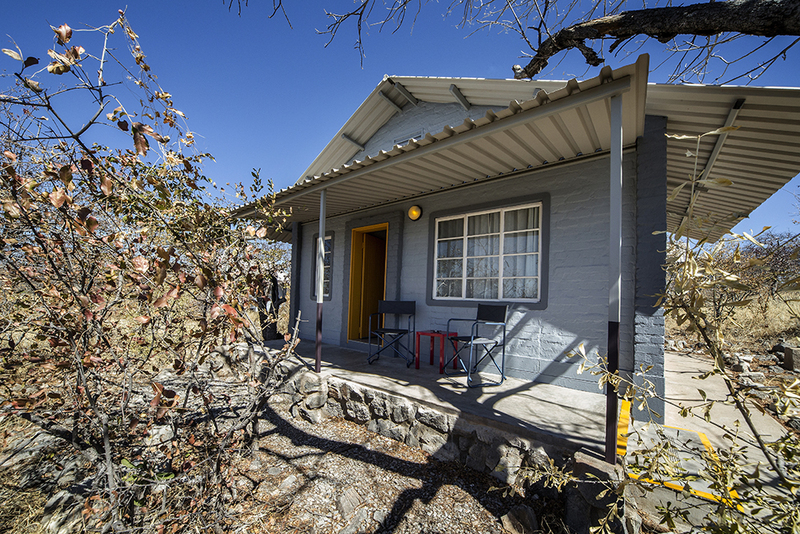 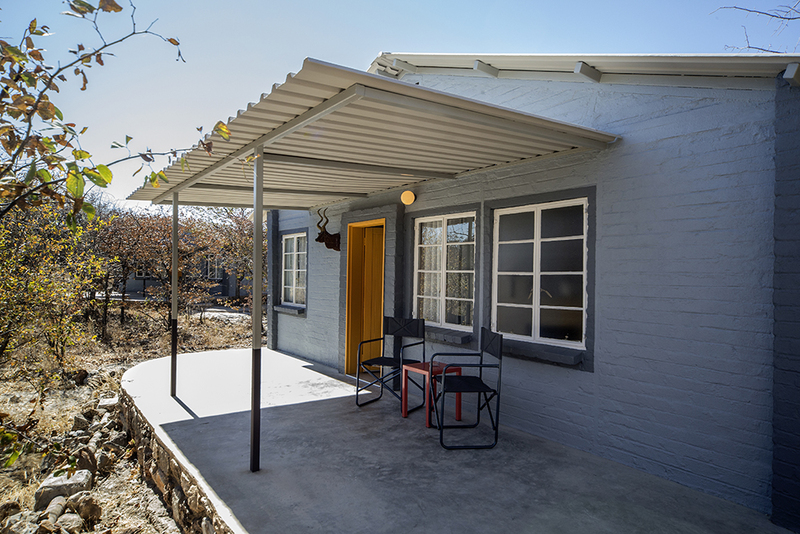 The Standard Twin Rooms are nested amongst Mopane trees, each equipped with twin beds and an en-suite bathroom. 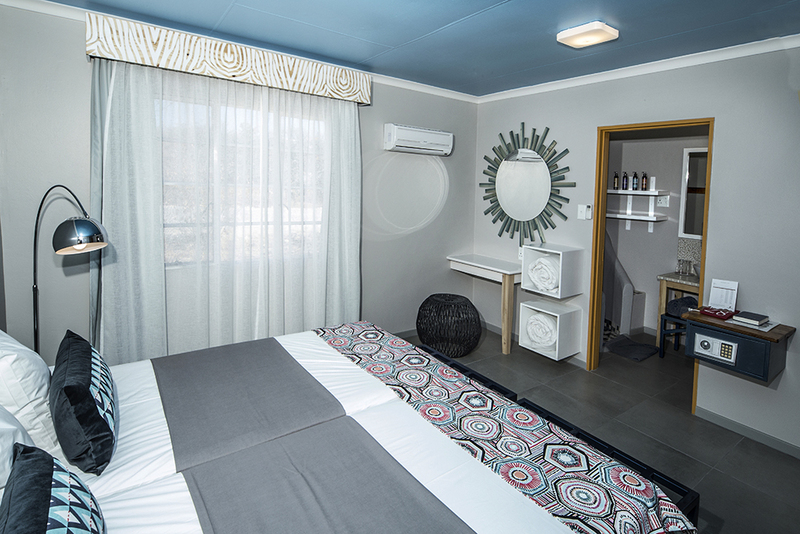 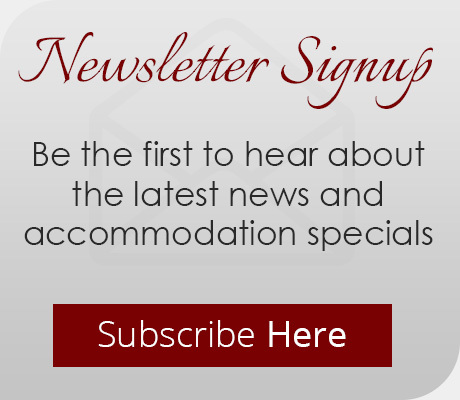 The Standard Triple Rooms are open-plan with three beds and en-suite bathrooms, while the Standard Family Rooms offering four beds and an en suite bathroom.